Progressive Mutual Insurance Company was founded in 1937 by Joseph Lewis and Jack Green, a lawyer duo who thought an investment in an insurance company was a good idea. The company has always been an innovator in the industry, being the first to introduce concepts such as drive-in claims service, pay as you drive user-based auto insurance and installment plans for paying insurance premiums. The company is headquartered in Mayfield Village, Ohio, a suburb of Cleveland. The current CEO of The Progressive Corporation is Glenn Renwick, an employee of the company since 1986. The Progressive Group of Insurance Companies became a publicly-traded entity in 1971 and has over $8 billion in net premiums written. A.M. Best gives Progressive Insurance an A+ financial strength rating. S&P and Fitch both rate Progressive Insurance as “AA” in the financial strength category. Progressive Corporation has an “A+” rating with the Better Business Bureau although it is not a BBB accredited organization. Companies are not required to seek BBB accreditation although it is a good way for consumers to find out how a company handles any customer complaints. The company has a 3.74 out of 5-star composite rating based on 167 customer reviews. There are 1775 closed complaints filed against Progressive on the BBB website in these areas: 61 advertising sales issues; 448 billing/collection issues; 14 delivery issues; 23 guarantees/warranty issues and 1229 problems with product/services. 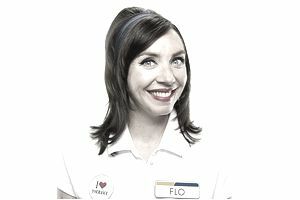 There are definitely a lot of pluses for customers through Progressive Insurance. From the Progressive website, you can compare the prices of Progressive’s insurance products alongside the prices of other insurance carriers. With this price comparison feature, you get a chance to see the best insurance premium prices available. This is something unique in an insurance carrier. Progressive is inviting you to compare it to the competition. If you do decide to purchase a policy from Progressive, you have access to 24/7 customer service and claims service either online or through its toll-free telephone number. I think one of the best features of Progressive is its claims service. If you have a claim, you can drop your car off at a claims service center, have it repaired and pick it up. The company handles all of the paperwork for you. Another outstanding service offers assistance to drivers who have vehicles that are declared a “total loss.” These drivers can receive assistance in finding a replacement vehicle and even help in finding financing for their new car. Progressive’s insurance rates are competitive and they have many different tiers of programs available to insure drivers of varied driving and credit backgrounds. Their rates are comparable to those of GEICO Insurance, another online direct auto insurance provider. While there are a lot of pluses to Progressive Insurance, there are also a few cons. Business customers won’t find much in insurance products from Progressive. The only business insurance offering Progressive has is commercial auto insurance. Although Progressive Insurance does not have BBB (Better Business Bureau) accreditation, it does have an "A+" rating. While companies are not required to seek accreditation from the BBB, it does give customers a good source for finding out information about a company including how it handles and resolves customer complaints. Customers may receive a quote for Progressive Insurance products on its website, or by calling 1-800-PROGRESSIVE (1-800-776-4737). To find a local agent, you may also use the agent locator.